2019 is probably going to be another year of impressive and mammoth influx of high technology and improvements t existing ones. From my own point of view, I think 2019 is going to be the last year we’ll ever be seeing notches on Android smartphones since Android smartphone makers like Huawei, Xiaomi are now narrowing their notches while others like Oppo are even removing them entirely while giving room to full screen display making smartphones smaller in body to screen while still maintaining gigantic displays. 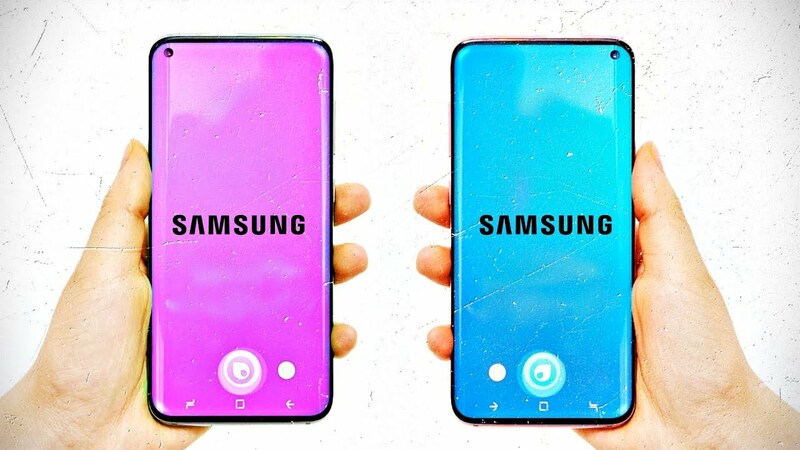 But one of the most recommended topic on the web is the new rumored design of the next Samsung Galaxy S10. We hope the new Galaxy S10 will be a better one and really futuristic. While the current Galaxy S9 is really sleek considering it’s curved edges design and wide screen, we all loved the fact that Samsung never followed in the other of Apple to add Notch to their smartphones and of course Samsung and Apple are direct rivals anyways though Huawei is now vying for the top spots now. There have been couple of news going on all over the web but our focus on this post will be on the new updates and how they will most likely affect what to expect in 2019. One of the biggest piece of tech gadget we’re tirelessly waiting for this coming year is the Samsung Galaxy S10 which is rumored to be in three variants namely the Galaxy S10 Lite which would be the smallest and less feature rich version of the device while the Galaxy S10 would be the device in it’s entirety offering all the perfect features and the premium look and feel Samsung is probably tirelessly working on to give it’s consumers the best looking gadget and then the last but not the least the Galaxy S10 Plus which would be a premium add-on of the Galaxy S10 considering a bigger frame and more cameras all over the device. It is also expected to house bigger battery and better CPU and memory allocations to enhance it’s speedy usage. One other development is the on-screen fingerprint sensor which is already present in devices from Vivo. The Punch hole will likely be doubled with the S10 Plus variant making the device’s 5 cameras. That said, majority of all the leaked images we’ve seen aren’t that great especially the bullet hole on the screen display. Although this are leaked images and doesn’t necessarily mean the outputted copy that will be used on the actual device when it’s finally launched to the general public. 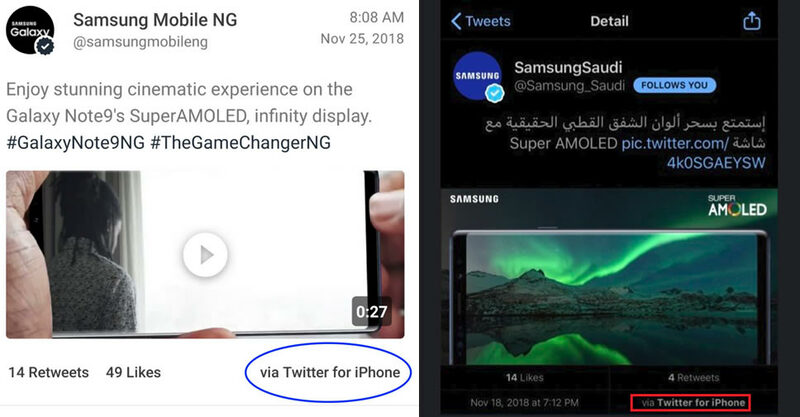 Another funny event was a post made by Samsung Nigeria Twitter handle where the post showed it was posted using an iPhone device. This is in fact a true shame on the part of Samsung considering the fact that even their social media personnel don’t even understand how things work or probably not very fond of the device they promote to the general public. The US Government and authorities warned against the usage of Huawei devices and products in general as it’s said to being dangerously controlled by the Chinese government considering the tie between the company and the Chinese business. Countries such as United States, New Zealand, Australia, Japan and more western countries that are probably thinking about joining hands with their buddy. ZTE is also another Chinese right under fire for violations of US export laws. The trials of ZTE could see them loosing their Android license something which hasn’t yet happened to Huawei though already banned from selling to the US market. Despite so much pressure on the company such as it’s CFO’s arrest in Canada and bans, the Chinese government had warned against negative consequence of all these actions if not well curtailed as soon as possible. Another possible thing we could see is Huawei adopting it’s own Operating while dropping Android OS. Although an official statement from the company has it that Huawei is in a partnership with Google meaning they would most likely not drop Android anytime soon but according to another statement fro Honor boss (Honor being a sub brand of Huawei) “Huawei is capable of doing it” making us realize the fact that this company might be really planning on creating their own operating system any time from now if they loose their partnership or licenses to use Android, that move will be inevitable as it would be their back up plan. Yeah! Huawei is out of the US market while Apple could follow suite from the Chinese market due to a recent court ruling dismissing the company’s breach of patent breach. The Chinese authorities won’t definitely take it very easy with the US company or any US company considering the way the US authorities had earlier treated Huawei. The move was from Qualcomm’s Snapdragon patent violation by Apple which Qualcomm had identified as a breach in agreement. While Apple is likely to face this strict penalty in China, the company might loose some of it’s market share considering the fact that Huawei is really moving to dominate the whole of China and become the major smartphone manufacturer (they are already) all over the country. 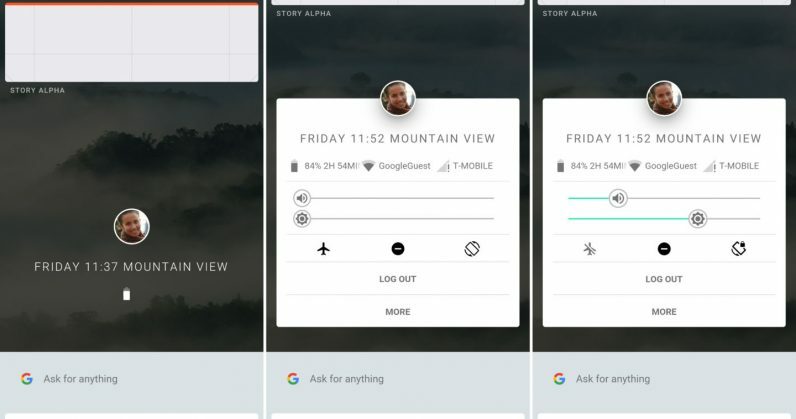 Google is said to be developing a new Operating system called the Fuchsia OS which is said to be built on top of Zircon. The UI and applications are written using Flutter which is an SDK that allows cross-platform application developmental abilities for the Fuchsia OS. With Flutter SDK offering cross-platform opportunities, users are able to install parts of Fuchsia on Android devices offering similarities which are already being experienced on current application modules on Android OS. With this progress, the move to replace Android might be inevitable although Android have come a long way and considering the millions of applications already written for the OS and being the world most popluar Mobile OS around, Google’s move for a more advanced OS might be a merger rather than a full replacement or better still, the move might see Android OS apps being able to cross function on the Fuchsia OS if ever launched though not anytime soon.